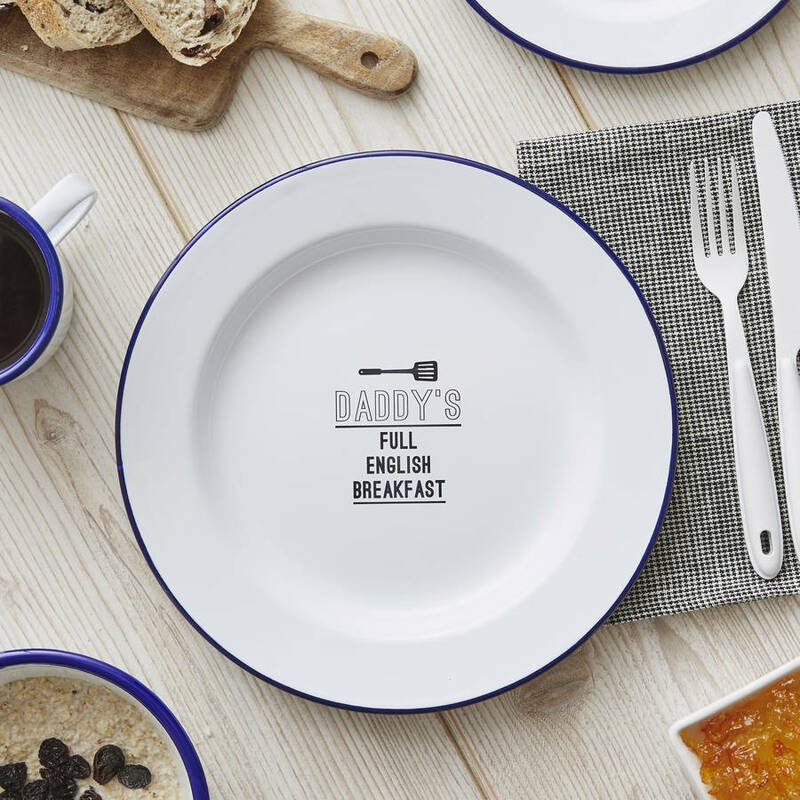 Our personalised enamel plate for him makes a brilliant present for Dad or the chief BBQer of the family! 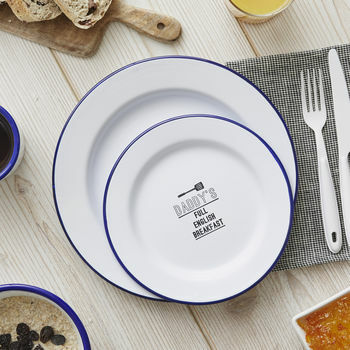 Ideal for both indoor and outdoor dining, our personalised enamel plates are a classic British kitchenware item and no camping kit is complete without some traditional enamelware! 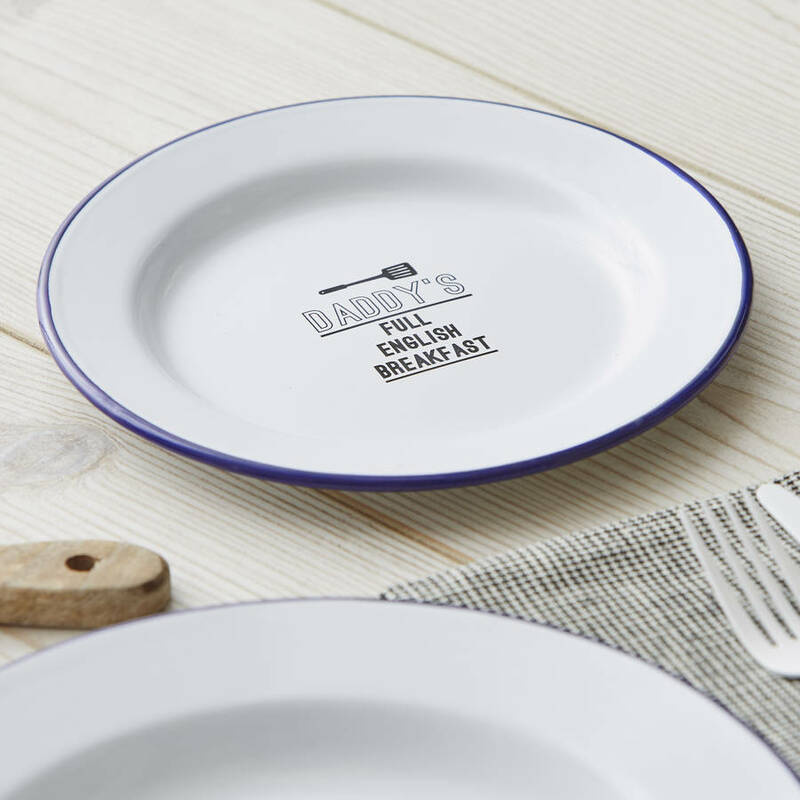 Our personalised plates are also great for picnics and BBQs, providing a stylish means of serving up cakes, puddings, cold meats, sandwiches and more! The perfect present for your Dad, Brother or Grandad to enjoy his favourite meal off. Also available for any Mums, Sisters or Grandma's! These make a thoughtful gift for all occasions, Birthdays, Valentines, Christmas, Father's Day, or a perfect treat for that special friend or family member.